Coal fired power plants are considered the largest emitters for CO2. Membranes can dramatically help reduce the carbon footprint of these power plants by removing CO2 from the plant flue gas. GENERON’s® Flue Gas Treatment Systems can be used to remove the CO2. GENERON® supplies customized flue gas treatment membrane systems which also include the feed compression. GENERON® fabricates its own membrane filters and works directly with the client to provide the most efficient and cost effective solution. 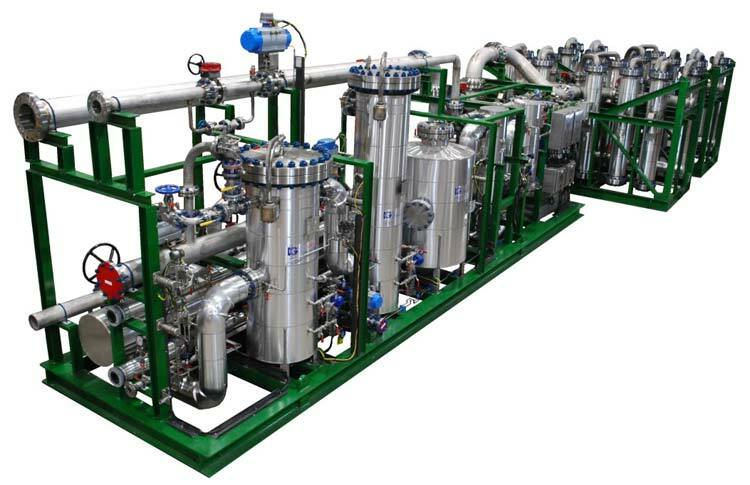 An alternative for treating the flue gas is an amine system which is complex and requires high capital, operating and installation costs, as well as chemicals that needs continual replacement and disposal. In a typical GENERON® flue gas conditioning treatment membrane system the feed gas is first filtered to remove any particles and liquid condensate. The gas is then enters the GENERON® membrane filters. The CO2 as well as any moisture permeate preferably through the membrane. The non-permeated gas, mainly N2, remains at pressure and can be vented or used for energy recovery. Individual modules available upon request. For more information on GENERON® Gas Separation and Conditioning, please contact us at +1.713.937.5200 or or using our online form.